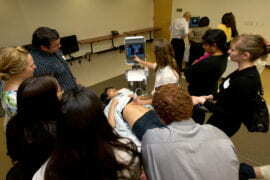 More than 200 medical, osteopathic and physician assistant students from 14 schools around the state streamed into the Medical Education Building May 20 to be trained in a technology that UCI faculty believe will be an important part of medicine’s future - portable ultrasound. When Kiah Bertoglio was helping arrange UC Irvine’s UltraFest 2012, she figured that about 30 medical students — 40 tops — would come to learn how to use portable, hand-held ultrasound devices to peer into the human body in a way they’d never done before. 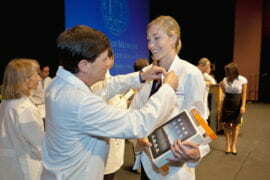 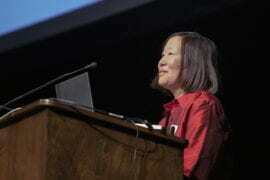 Imagine her surprise when more than 200 medical, osteopathic and physician assistant students from 14 schools around the state streamed into the Medical Education Building on Sunday, May 20, to be trained in a technology that UCI faculty believe will be an important part of medicine’s future. 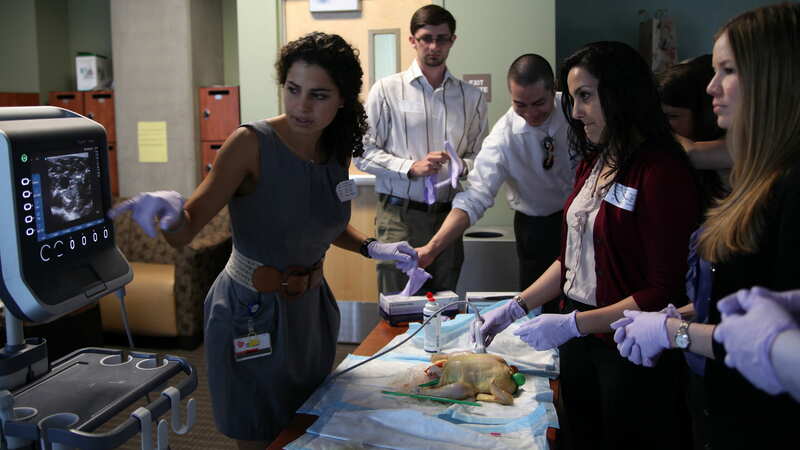 During morning and afternoon sessions, UCI physicians, fellows, residents and students led hands-on workshops in emergency medicine, urology, obstetrics and gynecology, surgery, anesthesia, cardiology and sports medicine, using both human subjects and lifelike simulation mannequins. 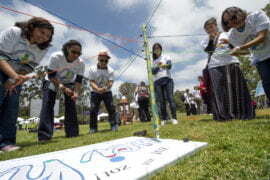 UCI’s medical school is the only one in California to include this cutting-edge technology in its curriculum and one of the first in the nation, he says. Currently utilized mainly in emergency medicine, ultrasound could eventually change how all physicians diagnose their patients. 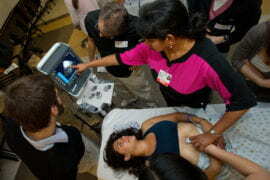 Regular ultrasound machines are bulky and difficult to use bedside, which limits their use. 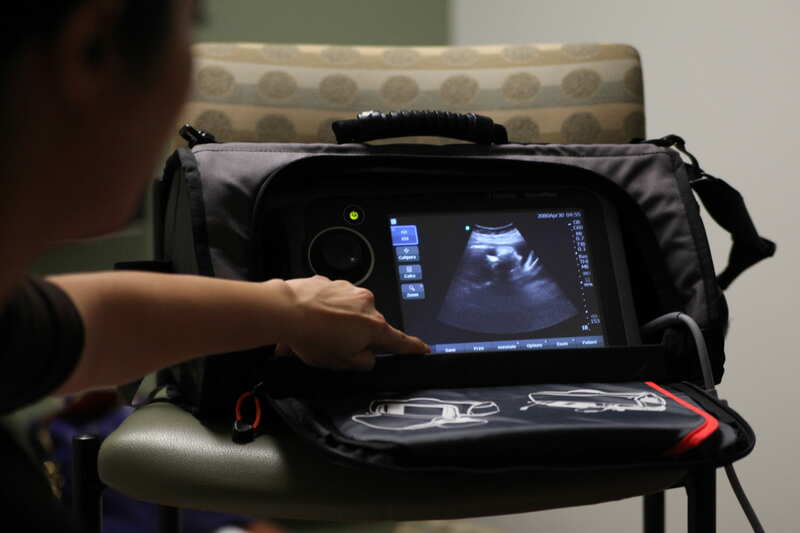 However, portable devices the size of a briefcase and easily maneuverable in a crowded clinical setting have recently reached the marketplace. 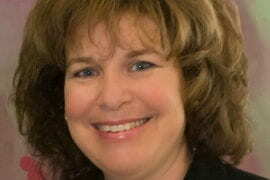 Fox first employed them in the emergency room and soon saw their potential for much, much more. 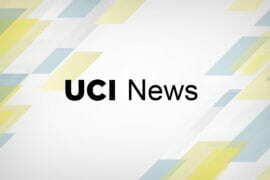 Three years ago, he shared his ideas with SonoSite, the devices’ manufacturer, which granted UCI exclusive rights to integrate the ultrasound technology into medical training. 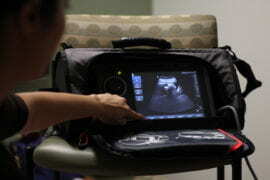 Dr. Ralph Clayman, dean of UCI’s School of Medicine, believes portable ultrasound will become standard in a physician’s “black bag” and foster proactive, personalized healthcare. 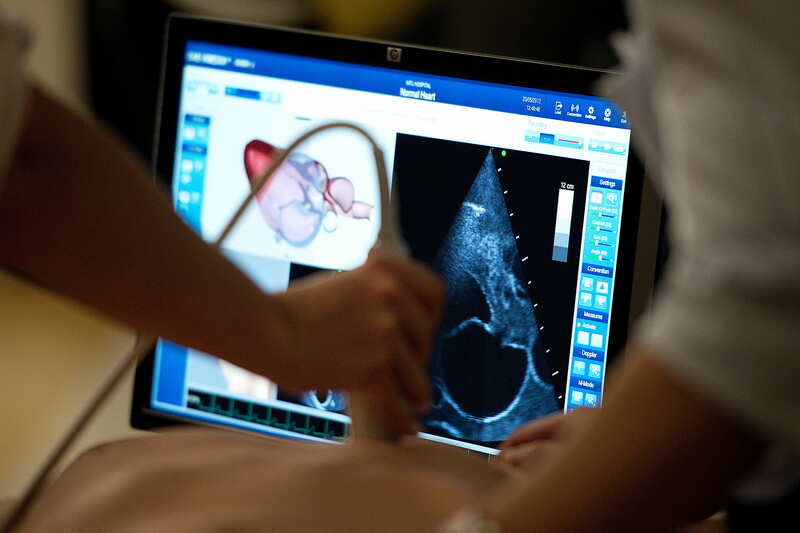 During an exam, he explains, a doctor using portable ultrasound can get detailed information — blood flow through the heart and carotid artery, for example — from inside a patient’s body and suggest ways of mitigating any lurking issues. 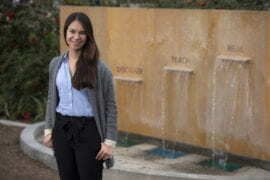 With events such as UltraFest 2012, they’ll have plenty of company.